When Drake-wrangler Amy Hennig left Naughty Dog in early March, her destination was undecided. It seems reasonable to assume that countless top developers courted her in the following weeks, but something drew her to Dead Space types Visceral – and not just her former working relationship with VP Steve Papoutsis. Can you guess what it was? “We happen to be making a Star Wars game,” said Papoutsis. For the past umpteen years, Hennig has been writer and creative director of the Uncharted series – the PlayStation action games which, evolutionary dead ends though they are, boast gaming’s best blockbuster dialogue. Before that, though, she worked with Tomb Raider lot Crystal Dynamics – alongside Papoutsis. “As both a colleague and friend, I’ve always admired her approach to creative development – focusing on nailing down the soul of a game first, and then making sure the writing, the gameplay, the design and the art comes together to form a unified, interactive experience for the player,” said Papoutsis in a statement. In recent weeks, Papoutsis and Henning have considered “a lot of different directions” for her first project. 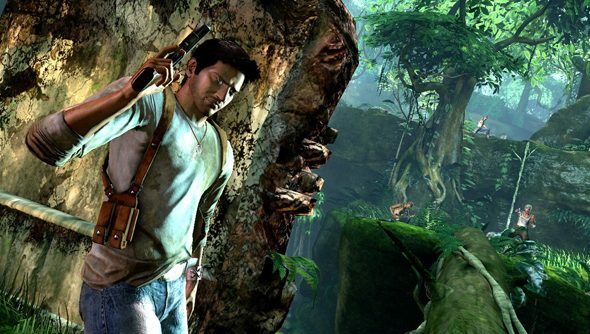 In March, Sony released an appreciative-but-downplayey statement to reassure fans that “the development timeline of Uncharted will not be impacted”. But the move is a net win for PC gaming, which previously benefitted from 0% of Hennig’s time. This is something to celebrate, no?